This product is completely natural, organic, gluten and GMO free. This product is available in a 10 portions as well as a 30 portions size. Do you want to order this product? 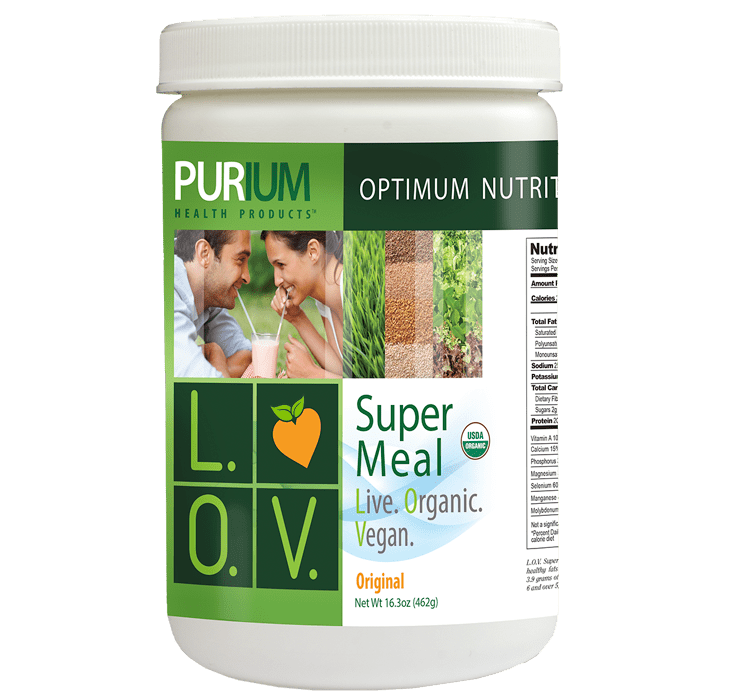 Select Super Meal L.O.V. Original Flavor (Product Code: 2700 and 2710) from the list inside the Purium store.